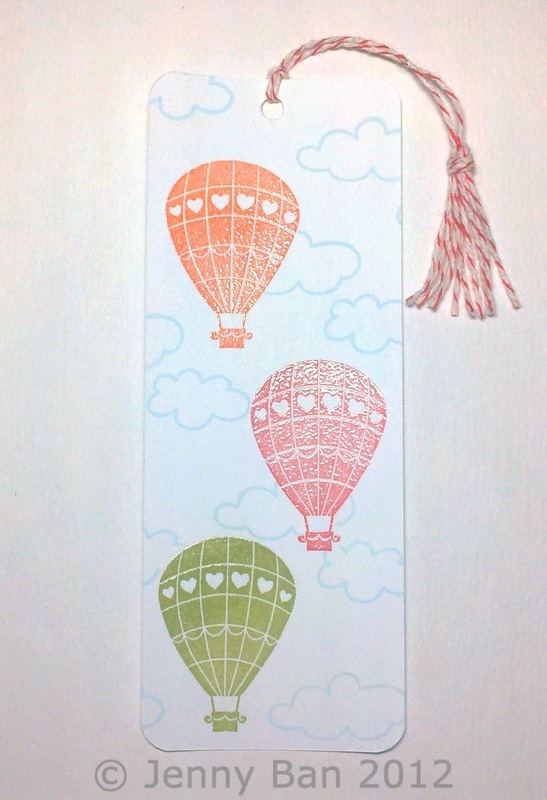 Jenny Ban Creates: Do you still use a bookmark? Do you still use a bookmark? I don't know if this is a regional thing or an American Jewish thing, but some synagogues offer the "lox box" on Mother's Day. It is a nice way for the husband to provide breakfast without actually having to cook, or make a reservation anywhere. Usually the lox box contains bagels, lox, cream cheese, juice and cake. Plus some Jewish newspapers/magazines and various other promotional items--pens, calendars, magnets, etc--donated by local businesses. This year, the lucky recipients of my synagogue's lox boxes received a hand-stamped bookmark! I hope they are enjoying it, and visiting my website too (Hello, new readers!). Of course I used the lovely A Muse Studio products to make this useful and unique promotional item. Care to share the secret of making those cute tassels??? ?